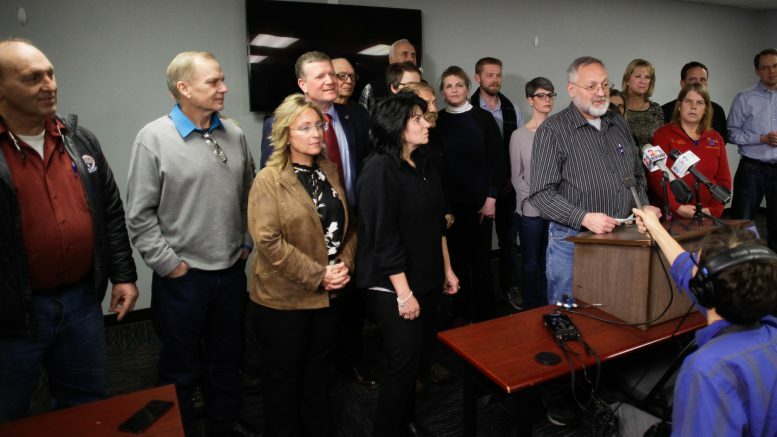 ANCHORAGE—Less than 24 hours after polls closed, House Republicans have announced a new 21-member majority caucus with Healy Republican Rep. Dave Talerico at the helm as Speaker of the House. With at least two seats gained by Republicans in Tuesday’s election, House Republicans were eager to stake their claim on the 40-member Alaska House even though one of the 21 members has not yet secured his election. In addition to Talerico, the House Finance Committee will be co-chaired by Reps. Tammie Wilson, R-North Pole, and Lance Pruitt, R-Anchorage. The House Rules Committee will be chaired by Rep. Cathy Tilton, R-Wasilla, and Anchorage Republican Rep. Chuck Kopp will serve as House Majority Leader. No other announcements were made for positions, and Talerico declined to give much specifics when it comes to the Republican majority’s policy priorities. “We’re a caucus in construction,” said the former mayor of the Denali Borough. When asked about the permanent fund dividend, a core platform of Republican Gov.-elect Mike Dunleavy, there was a notable silence. 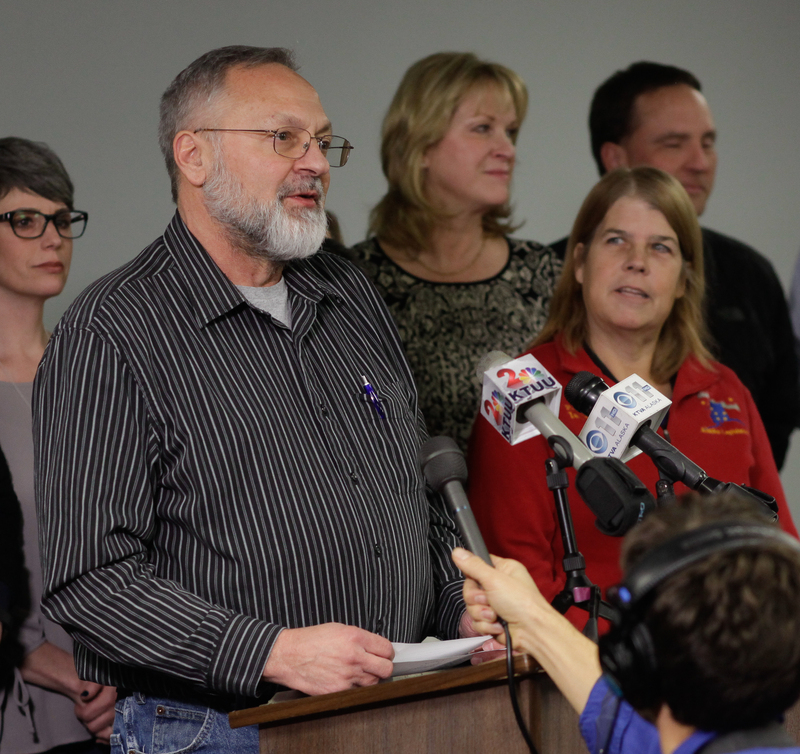 Dunleavy has promised not only restoring the PFD to the previous full formula (which was formally reduced by the Legislature earlier this year), but also returning the previous dividends that were vetoed or reduced by the Legislature. When asked specifically about Dunleavy’s promise to repay the dividend—which when combined with the anticipated full 2019 PFD comes to about a $6,700 per person payout totaling a $4.3 billion spend according to figures floating around near the end of the race—Talerico also punted. The group took only a handful of other questions before Wilson, who took a strong role in the news conference, called it to a wrap. Though the only unifying trait of the 21-member caucus was their Republican party affiliation, not all Republicans were present at the meeting. Reps. Louise Stutes and Gabrielle LeDoux were not present. Those two caucused with the bipartisan coalition and drew ire from the Alaska Republican Party, which particularly zeroed in on LeDoux. Talerico said he had extended an invitation to the meeting to Stutes, but said he did not extend any similar invitation to LeDoux. Rep. David Eastman, the far-right Wasilla Republican who among other things was censured in a truly bipartisan vote for suggesting that women in rural Alaska get pregnant so they can get government-funded trips to cities to go on shopping sprees, was not also not present, but Talerico said he was part of the caucus. The only problem is that one of those members hasn’t yet secured his election. Fairbanks Republican Bart LeBon is the 21st member of the organization but is currently only up by 79 votes with absentee and question ballots remaining (that’s likely why Stutes, who didn’t take on a particularly significant role in the bipartisan coalition, got the invite). That very issue was seized upon by current House Speaker Bryce Edgmon, D-Dillingham, in a statement released shortly after the Republican announcement. Be the first to comment on "With one race still up in the air, Republicans headed by Healy’s Talerico stake claim on House majority"